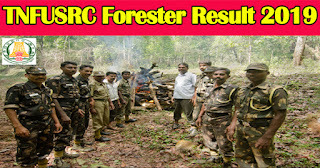 TNFUSRC Forester Result 2019 announced at www.forests.tn.gov.in website. The Online Examination for the post of Forester was conducted from 06.12.2018 to 09.12.2018. The Online Question Answer Challenge was made available between 15.12.2018 (09.00 AM) and 19.12.2018 (09.00 AM) in batches. The Questions and Answers that were challenged were considered and the final answer keys were published on 13.01.2019 and 22.01.2019. 4. 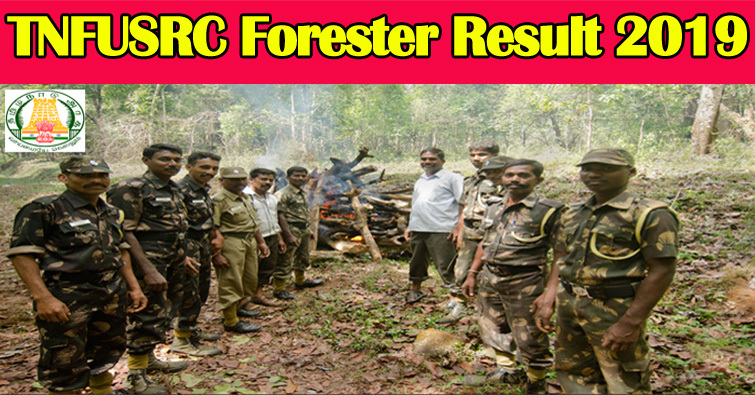 Now your TNFUSRC Forester Result 2019 will be displayed. The TNFUSRC Recruitment 2019 has released its notification. So, a huge number of applicants had applied for this post. Forester Result 2019 is provided only to aspirants attended the exams. Based on the performance in the exams the candidates can view Result.